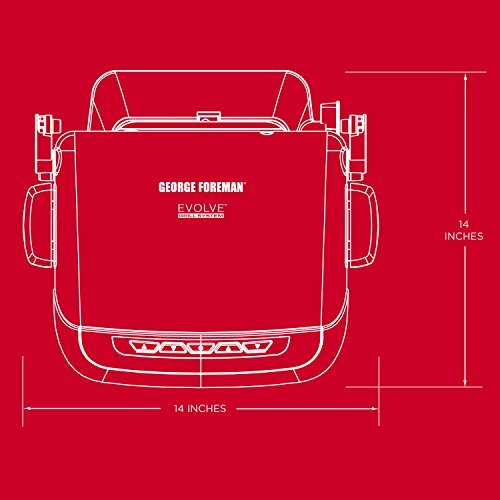 Make the George Foreman Evolve Grill the ultimate cooking machine in your kitchen. 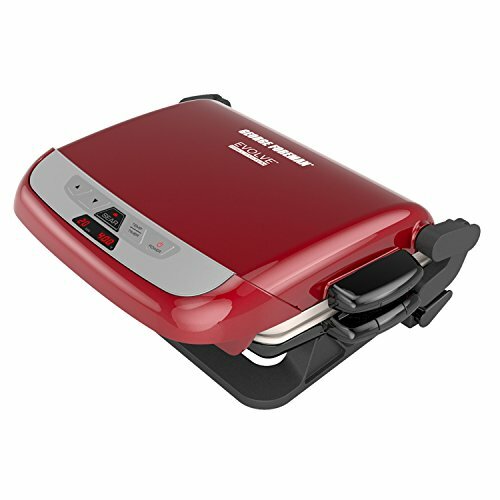 The 4-in-1 capabilities and simple digital controls will change the way you prepare food. 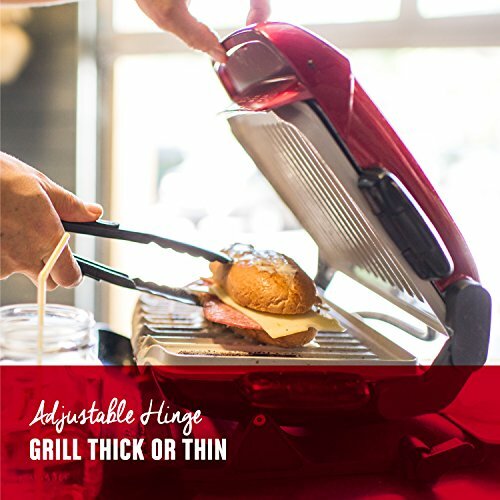 Use the durable ceramic grill plates for your traditional grilling needs with meat and vegetables, or use them to toast up a tasty Panini. 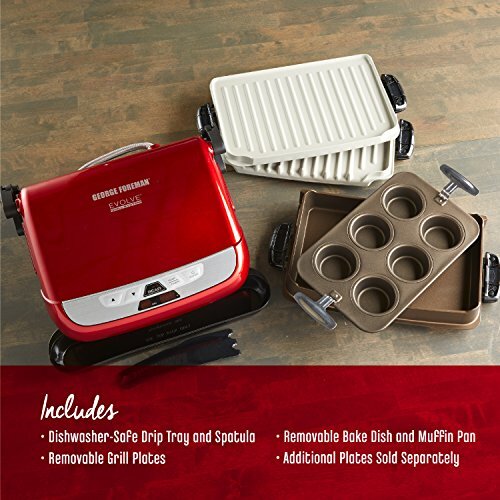 Then swap in the bake dish or muffin pan to take care of all your baking needs. 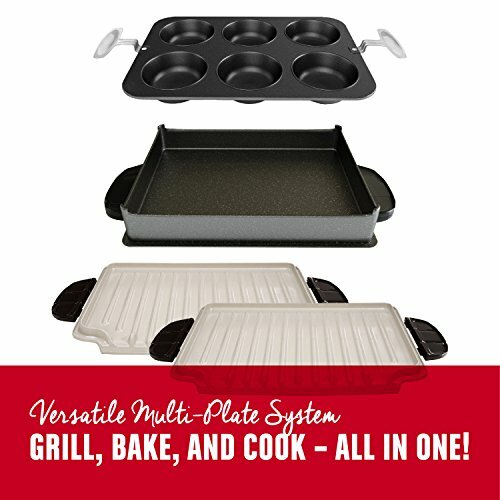 The dishwasher-safe grill plates feature an advanced ceramic coating that's more durable than previous models. 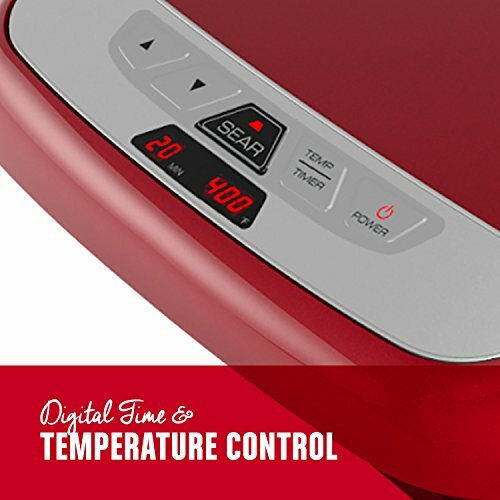 Digital time and temperature settings give you precision control to cook a variety of foods with heat ranging from 325- to 450-degrees, plus a 500-degree searing option that lets you lock in all the juicy flavor of steaks and burgers. 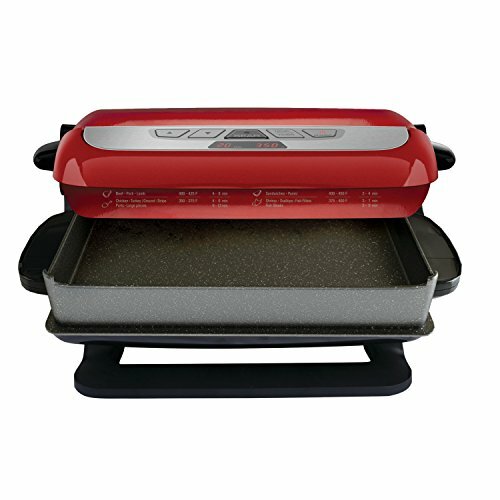 Take home the Evolve Grill and transform the way you cook!. 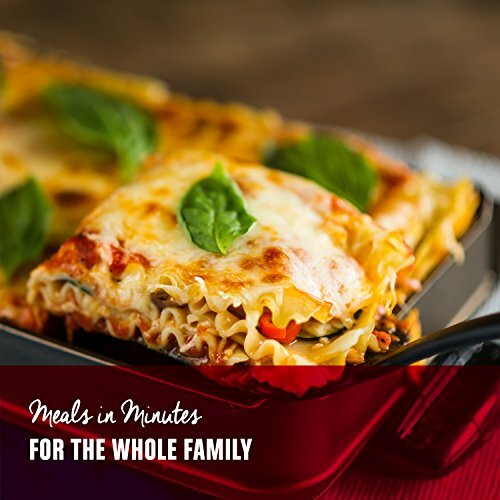 Allow grill to preheat for at least 5 minutes.